It says it right there on the flag. 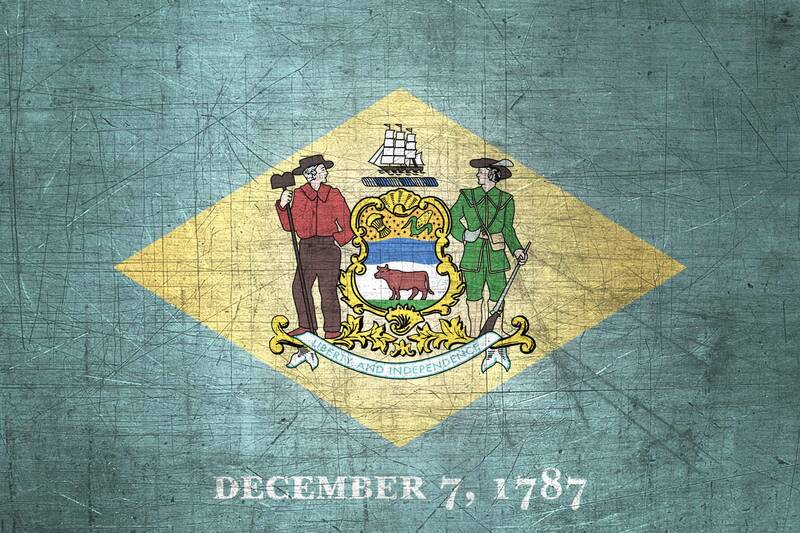 Before it became known as Pearl Harbor Day, December 7 was and still is known as Delaware Day, the day all the way back in 1787 when Delaware became the first state to ratify the U.S. Constitution, thus officially making Delaware the first state in the new nation. And today is the 230th anniversary of the First State becoming the First State. The ratification vote was 30-0 and here is proof of it, in case Pennsylvania and New Jersey want to fight about it (both ratified the Constitution in December 1787 too, but not before us). And where pray tell did our 30 Delawarean Delegates vote to ratify the Constitution? The Golden Fleece Tavern in Dover of course, where I am sure the post Colonial version of Dog Fish Head was flowing. And why did we want to be quick about ratifying it? According to the state archives, there was some concern that as a small state in both size and population, larger and more populous states would either try to annex Delaware or otherwise exploit it. Thus, if Delaware were the first to become a state, it would protect its position as a sovereign and separate state.